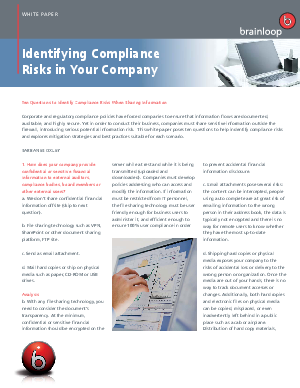 Corporate and regulatory compliance policies have forced companies to ensure that information flows are documented, auditable, and highly secure. Yet in order to conduct their business, companies must share sensitive information outside the firewall, introducing serious potential information risk. How can companies enforce security policy and cost-effectively meet compliance objectives when documents must be shared with partners, investors, board members, and others outside the enterprise?